Once a month we'll shine our virtual spotlight on one of the CA DevTest community's members. It's just a fun, easy way for us to get to know one another a little bit beyond our work-related interactions here on the site. This month, we're featuring Rick Brown, Pre-Sales Application Delivery Team, CA Technologies. Attached photos are Rick with his three daughters, at his eldest daughter’s wedding, a couple of years ago. Also one with his wife at their wedding this autumn. I’m a CA employee, based out of the UK, but my role is EMEA, so I could be in Spain, Slovakia, Belgium, Denmark, etc. I live 30 minutes drive from London Heathrow airport, so it’s no trouble getting a red-eye service for a day working in continental Europe. Pre-sales in the Application Delivery team. I joined iTKO in December 2009, so I have been working with LISA for 6 years, since v4.6. For 10 years, I was pre-sales at Mercury Interactive (EMEA SE of the Year, 2000). When we were acquired by HP, I decided to move to a smaller company. I chose IBM. I soon discovered that I was not an IBM person, so after a year at Rational, I went to Oracle, and from there to iTKO. For all of these, I was pre-sales for testing tools, so if you want to know about WinRunner, Quality Center, Rational Quality Manager or Oracle Application Testing Suite, I’m your man. I suppose you could say that I’ve been arguing with testers since 1997! It’s great being able to play with CA’s DevTest every day, because it’s a great framework for testing, as well as having the marquee service virtualization capabilities. We need repositories of user-centric information. We’ve always needed it, and I’ve always tried to be active, regardless of whether it’s CA Communities, Twitter & Facebook, or, historically, forums, BBS systems (and even Usenet for others like me who have grey hair). As a suggestion, don’t forget to vote all my ideas up! If we don’t engage, and engage fully, Product Management won’t be able to decide which ideas get the highest priority when looking for next features. When I joined iTKO, I was given a free choice. I asked about Windows, and was told that Lenovo machines were supported. I had worked for IBM, so I knew about the build quality changes that were happening with Lenovo laptops, so I asked instead about Linux. I was told that Linux was supported … on Lenovo laptops. I therefore fell into Mac use simply to get away from Lenovo. Frankly, I am constantly surprised by the hardware quality of the MacBook Pro, and I would hate to be forced back to Windows now! My work phone is an iPhone 4S. It works, and I haven’t found a need to upgrade. This might be because my personal phone does everything I need; it’s Android, I’m on a plan that includes calls, texts and data in 17 countries, and I’m currently using an LG G3 (with 128Gb SDXC expansion to give me music to listen to when I’m traveling). At home, I have a couple of things I can’t live without. One is my Amahi server (LAN server, DNS, DHCP, everything you would expect a network administrator to look after) and the other is my Proxmox server (virtualization, allowing me to run VPN server, Plex media server, websites, provisioning new machines within a few seconds, and everything else for a media-centric life). I built both of these servers, with hot-swap disk drives, mini-ITX motherboards, and multiple versions of Linux, and I’m pleased that they both “just work”, with little required maintenance. I even have them (and my wifi router and network switch) attached to a UPS, so my home LAN is running even if we have power troubles. I’m an anti-coffee-snob. I prefer instant coffee to filter coffee. As such, a fast way to get hot water is a must, and we have an induction water heater, giving me nearly boiling water within 3 seconds, taking about 30 seconds to fill a mug. I think it’s the gadget I use most, apart from computer and phone. I’m pre-sales, so I live out of a backpack. I’ve found that having no desk is the only way to keep my work area tidy at the end of a day. Before I learned to work like this, when I had my own desk, my desk would be cluttered with X.400 & X.500 books, the K&R C manual, print-outs of everything I hadn’t finished with, and columns of empty disposable coffee cups. I’m sure everyone appreciates me being a hobo! How do you balance life/work? A lot of people I need to communicate with are a number of hours behind me, so I am often sending emails and updating Communities discussions in the middle of the night. To offset this, and to make sure I don’t start to hate computer screens, I try to use the Internet for relaxation as well, playing an online browser-based RPG. I am a lapsed lindy-hopper, although I’m sure I can still “Shorty George” with the best of them! When asked this question in interviews, I never answer “Don’t let the bastards grind you down!”, although I often think it (it’s a quote, by the way, from the 70s British comedy series, “Porridge”). As I’m sure is common around the world, the vicar who married me the first time, gave the advice “don’t go to bed angry”. The marriage lasted for nearly 20 years, so I suppose it was good advice. The best advice I can give to anyone I meet is to always assume that my wife is right. This statement might sound inflammatory, but I mean it! I can count on two fingers the number of times I’ve been right when discussing facts with her, and we’ve been together for 9 years. I am pretty sure I’m better at being a rubbish cook than just about anyone else. I even have a personal blog about the cookery disasters I have. 2016 Resolution #1 - I will remove constraints from my App development and Testing. The New Year is almost here, so let’s begin this list of 16 New Years Resolutions for 2016 with this Holydoozy… “I Will Remove Constraints from My Application Development and Testing Process”. Truth is, a DevOps Transformation doesn’t happen in organizations unless they enable their Developers and Testers to build applications without waiting for others. Constraints to the application development cycle like waiting for others code, unavailable systems, high-cost 3rd-party services and inaccurate test environments can completely slow down and add high defect costs to your projects. Now with CA Service Virtualization on Demand, on the Microsoft Azure Marketplace, you can get the power of CA SV when and where you need it. Launched at CA World 2015, CA Service Virtualization on Demand represents a significant innovation milestone for CA and the very first fully consumptive Service Virtualization marketplace offering with one of the world’s largest cloud providers. Service Virtualization on Demand is the first service virtualization solution certified by Microsoft for Azure and will enable developers to quickly simulate environments for testing of traditional and cloud-based applications and provide the agility needed to bring applications to market faster. This limited launch is focused in the US, with global roll-out coming soon. CA Service Virtualization on Demand for Azure give testers and developers, at companies of all sizes, a cost-effective way to leverage the benefits of service virtualization. When needed, users can access CA Service Virtualization on Demand, via the Azure Marketplace portal, with an hourly charge of $6.85, in addition to any Azure infrastructure charges. Customers new to Azure have the ability to try both Azure and Service Virtualization on Demand for FREE for the first 30 days. This, in addition to the Service Virtualization for Developers (link) is a great way for future developers to try before they invest in the Service Virtualization Enterprise version. Visit http://bit.ly/SVonDemand-Azure for details. By using CA Service Virtualization, customers realize the benefit of “Shift-Left” across the entire Application Development Lifecycle, typically reporting a 25-50% reduction in the overall application development timeline. Customers also report that 60-90% more defects are detected at least one step earlier in the SDLC, reducing the cost of defect remediation and risk to the business and release schedule. Keynote panel with Otto Berkes CTO, CA Technologies by Steve “Guggs” Guggenhimer, Corporate VP and Chief Evangelist at Microsoft (Opening session on 11/19/2015) and MSFT CAW World Sponsorship. Are you ready to take on this New Years Resolution? If so, join us on January 12, 2016 for the joint Microsoft Azure and CA Technologies webinar that will present the ins and outs of Service Virtualization on Demand. For more information, register here [Link]. This document will contain guidance on implementing DevTest on premise, in private or public clouds or hybrid environments. It will describe the specific DevTest Capabilities. This second use case walks through setting up DevTest 9.0 in a Microsoft ® Windows Azure (Azure) environment. The Source Control Management (SCM) is located on premise (on physical systems or in private cloud). Feedback and comments are always welcome. Part of the move to Agile is to make sure that the end users views and requests and embodied in the delivery of software in a sprint. In DevTest we now have three dedicated Product Owners to ensure that developers have constant feedback from our end users via the Product Owner as there proxy helping out our Product Managers. Every time you enter a Idea, attend a public web event or provide feedback in our private community for releases these three are listening and asking questions to ensure your views as the end user and customer get what you need in DevTest. What is your must have piece of technology? Electricity makes my life a little easier. If you were a CA Technologies product, which would it be and why? CA 1990’s theme song. Karaoke version, of course. What piece of wearable tech embodies your personality? Sunglasses, just be cool. How would you describe yourself in 3 words? Less is More. PC or Apple, and why? iOS, Windows and OS X. Like all software, each has their strengths and weaknesses. What is your must have piece of technology? Pen and paper, because it never runs out of batteries. What made you choose a career in technology? Software development was never fun for me because it didn’t seem “real,” so I gravitated towards hardware. I started with simple circuits and was manufacturing rack-mount servers before I knew it. You Meet AK in the Meet the Product Manager blog and he quickly jumped the PM ship to start out as our first Product Owner wanting to get closer to the customers and developers action. What is your must have piece of technology? Pants... with pockets. I can't leave the house without them anyway, and I need pockets to hold whatever technology I must have that day. What made you choose a career in technology? By the time I was 7, I would disassemble anything and everything my parents would let me. I was programming by the time I was 9, repairing computers by 11 and printing my own circuit boards at 15. I was always going to do technology, so I may as well get paid. Well folks, back by popular demand, the crazy-fun DevTest team is back at it again. DevTest 9.0 just released to much fanfare. And to help ring in all its goodness, we’ve decided to blog about it to the theme of “My 9.0 New Years Resolutions” with 16 blogs for 2016. And lucky for you, these blogs will run through January to help you keep the "resolve" in your resolutions around Service Virtualization, Continuous Application Insight, Application Test, Test Data Manager, and Test Case Optimizer. 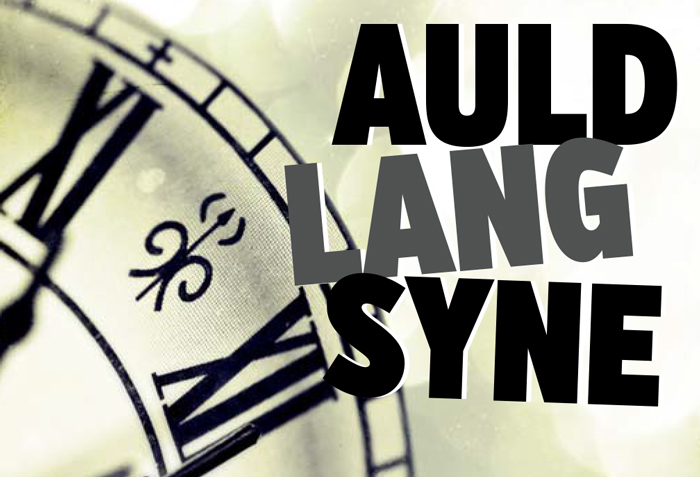 To kick things off, I’ve decided to have fun with the New Year’s song sung ‘round the globe … Auld Lang Syne. This traditional song is often used to bid farewell to the old year at the stroke of midnight, and welcome in the new year. I’ve taken the lyrics (which are always so hard to remember) and put them to the rhyme of a new song… The DevTest Song. Go ahead, and sing the tune in your head as your read about why you should utilize the Continuous Delivery solutions in CA’s DevTest portfolio in 2016!! And dev delays every day and night? And fees be paid to partner sites? For testing day and night? For industries far and wide. For DNA Sequencing in Developing. TestDoubles & Docker install as storylines. And test cases written by sight? So you’ll never test in the blind. Saving years of jail time. With the best solutions worldwide. We even integrate with Perfecto Mobile. Giving your mobile apps a bug free life. Yup, that’s just the start of the 16 DevTest Resolution Blogs for 2016. It’s gonna be a fun ride. And my one ask of each of you is to check out this upcoming Dec.15th Lunch n Learn session -- "It's 2015, Why are You Still Manually Writing Tests?" You'll learn some great stuff! And have a Happy 2016! Please take a moment and provide your feedback about CA Service Virtualization! Candid feedback from our customers is one of the most important tools we use to advise product development. In addition to product management, your feedback is immediately accessible by executive management teams who are always looking to improve your customer experience. You may choose to leave your contact information or remain anonymous. The Product Management leadership team will review the survey results to create action plans designed to further improve the overall experience and value you receive from your investment with CA Technologies. This survey will be open until mid-February. All users are encouraged to participate. Now that DevTest 9.0 is out, attached is an upgrade guide that will take you thru the steps and the important considerations for the upgrade to the latest and exciting release of DevTest. Remember we now support in-place upgrade from 7.5.2 to 9.0 as well as from 8.x to 9.0 which means you can install in the same location as your prior release and you can also use you existing database which will be upgraded automatically for the 9.0 release! !